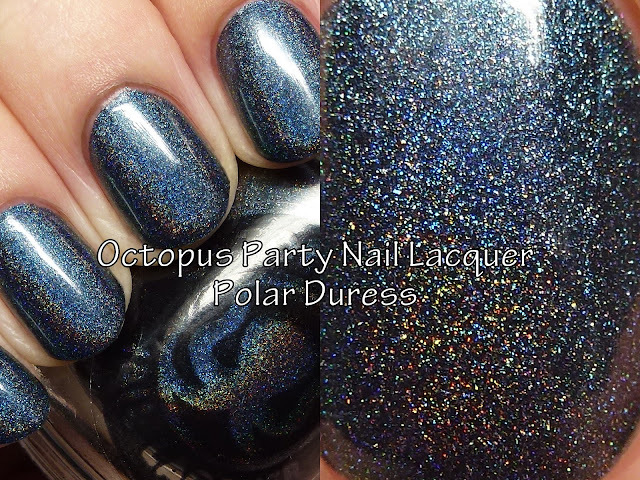 On Saturday, December 26 at noon EST, Octopus Party Nail Lacquer is releasing a set of four duos. 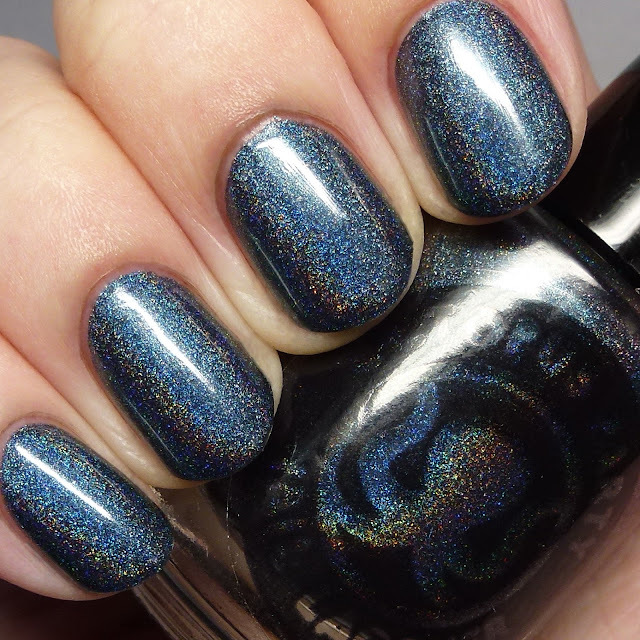 Yesterday, I posted one with Carpe Noctem Cosmetics, and today I have the OPNL half of a duo with B.I.T.C.H. by Jaclyn. This will be sold as a pair, but I only have the OPNL to show you. It is worth a look after the break! 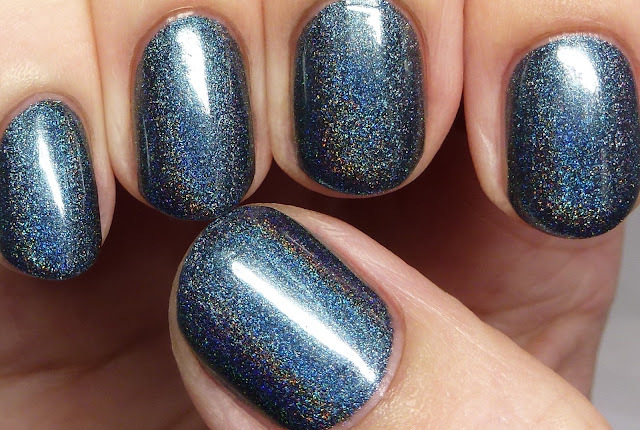 Polar Duress is a dark imperial blue linear shimmer holo, shown here in three thin coats, though two are enough. 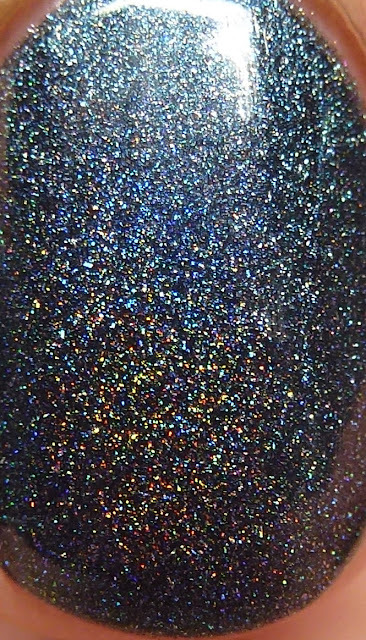 It is pretty much perfection, formula-wise. I don't have the B.I.T.C.H. 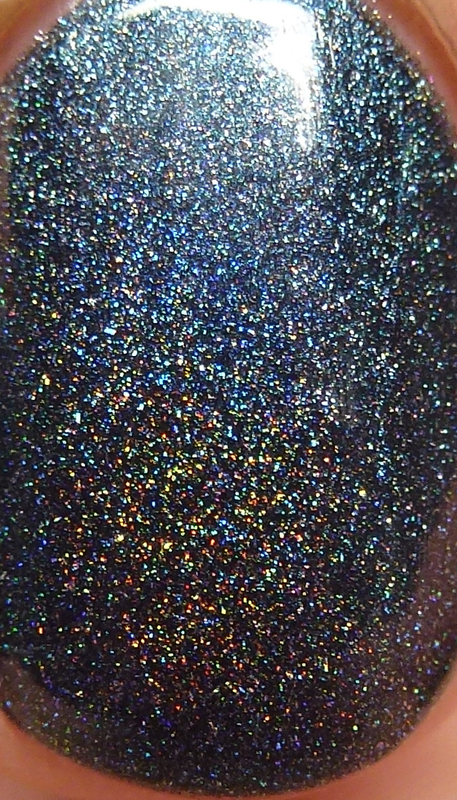 by Jaclyn half of the duo, but from the itty bitty picture I have seen it is a white shimmery sheer. If you want these, be quick at the launch on the 26th at noon EST. The duos are listed on a Bigcartel site at http://www.opnlduos.bigcartel.com/.